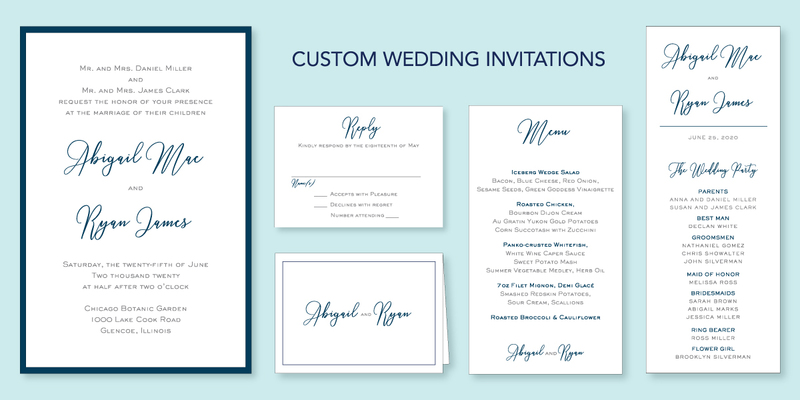 From save-the-date cards and wedding invitations to programs and seating cards, NoteworthyNotes has served hundreds of wedding couples since 2000. We're excited to work with you to create the perfect invitation to set the tone for your special day. Browse through our gallery to see a variety of our recent customer's invitations. We know it is difficult to appreciate the true essence of a wedding invitation online. We believe they are best viewed in person not only to see the colors and touch the papers but also to have an expert guide you through the process. If you're in Chicago, we would love to work with you! We highly recommend that you schedule an appointment, to ensure that one of our wedding consultants is available to devote the time to you without interruption.